An industry insider has shed some interesting light on the former cooperation between PSA/Peugeot-Citroen and Ford over a joint engine development program. The story dates back over a decade to a time when Ford of Europes sales were sliding, largely because Europeans were clamoring for diesel engines and Ford had only hopelessly outdated units. To the rescue came Jean-Martin Folz, CEO of diesel experts PSA, who appeared alongside then-Ford CEO Jacques Nasser to announce an agreement that would see the two firms jointly develop a family of modern diesel engines. 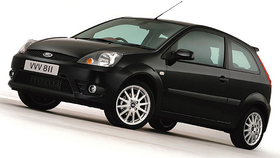 The engines appeared in 2001, to considerable positive comment, in small Citroens and Peugeots and in Fords Fiesta. Yet now, thanks to a chance comment to Automotive News Europe by a person involved in the deal at the time, the diesel joint venture can be revealed as a distinctly one-sided affair. Of the estimated 200 engineers who were drafted into the program, just one was from Ford.